I haven’t been 100% honest with you, and I need to come clean. No, it isn’t you. It’s me. You’ve done nothing wrong. I’ve been…selfish. Stop, don’t say that I haven’t. Just let me get this off my chest, okay? In starting this blog, my initial goal was to educate anyone who came across it about new artists. Whether it be introducing you to the perfect mood song, or somehow creating a lasting relationship between you and an artist, I wanted to help. In the process, though, I’ve also been acquainted with various musicians myself and, well, I kind of like it. I’ve developed new favorites through this blog, and I’m ok with it. I’ve even put some of their music on my iPod. (Go ahead, you can gasp, scream, react.) I know what you’re thinking. Self consumed music junkie. Well, if self consumed is what led me to Drew Martin and the Limelights, I’ll take it. You know what? You should be grateful, because I may reap the benefits of HauteThought, but I’ve never once held out on you, and it would be an injustice to do so with this group. Created in the summer of 2010, Drew Martin and the Limelights are new to the music scene but this isn’t to say that they sound any less experienced than what you might hear on the radio. Lead singer Drew Martin’s voice is reminiscent of Plain White T’s Tom Higgenson’s, with a twist of gravel and dash of sincerity. Hit and Run, which can be found on their first EP, had me sold within the first few bars. The relate-ability of Martin’s voice and complementary instrumentals come together to form a song that I could easily listen to on repeat for hours. But still I hope that I was more than your hit and run. Drew Martin and the Limelight’s five song EP isn’t afraid to delve emotionally deeper than most popular music. In Calling Your Bluff, the 4 member group discusses living life after a lie in a surprisingly upbeat song. Not only do they touch upon deeper concepts, but they do it in a lyrically beautiful way. The fact that I was actually sent the lyrics says a lot to me. The group is proud of them, and they have a reason to be. Attractive vocals, well written lyrics and solid instrumentation? Not bad, not bad at all. But you taste like cigarettes. Honestly, I believe the group describes themselves in the first set of lyrics: “Yes, I know my turn has just begun, I am tiger wild and blossom young, But still I hope that I was more than your hit and run.” This young group has just gotten started and Drew Martin, Stephen Stites, Jim Ivins, and David Young are much more than just a hit and run. The talent displayed in a mere five songs is more than enough to give the group lasting power and the ability to outshine other acoustic pop groups. If they continue to pinpoint the raw talent they clearly possess, being a hit and run should be the last thing Drew Martin and the Limelights have to worry about. 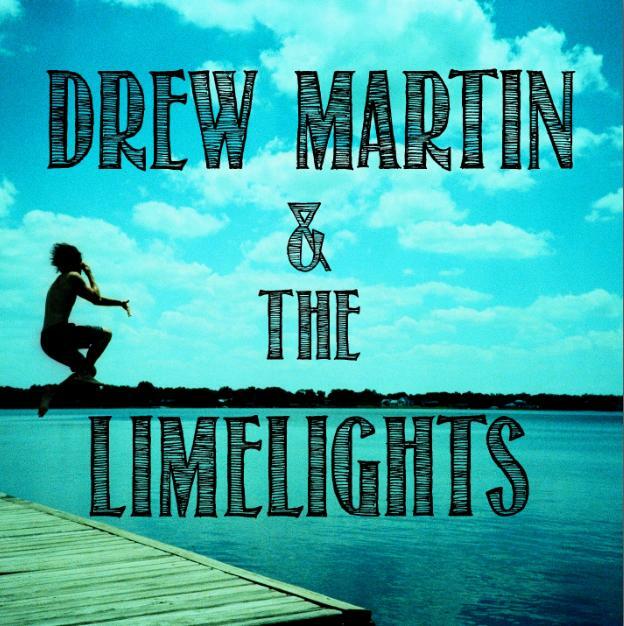 Click here to learn and hear more about Drew Martin and the Limelights. Tags: Acoustic pop, Bring the Light, Calling Your Bluff, Dave Martin and The Limelights, EP, Featured Artist, HauteThought, Hit and Run, Just Call Me, Music, new music, Once Was, YouTube. Bookmark the permalink.